When we are working on commercial roof replacement for your Orillia, ON property, we put our entire crew on your job and only your job to expedite the completion. There is one major thing that is different with commercial roof replacement when compared to residential. There is an extra requirement to keep from disrupting business as much as possible. 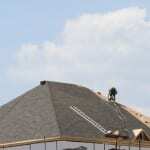 At Slippery Slope Roofing, we understand that extra requirement and take it very seriously. That is why, when we are working on commercial roof replacement for your Orillia, ON property, we put our entire crew on your job and only your job to expedite the completion. In addition to being quicker this way, it also enables us to keep up with cleaning up on an ongoing basis instead of waiting until the very end of the project. We know your reputation with your customers or clients revolves around appearances, so by keeping your property neat and tidy during the entire commercial roof replacement process, we do our part to keep them happy. Our combined 50 years of experience with commercial roof replacement means you will get the best results possible. We know all the exacting requirements that shingle roof manufacturers demand in order to honour their warranty, so we make sure your commercial roof replacement follows and even exceeds those directives. This means that should it become time for a repair that would be covered by the warranty, you won’t face any complaints or a denied claim. You are also covered with our 10-year warranty on workmanship. Between these two warranties, your investment of commercial roof replacement is safeguarded. Call us today for a free estimate for commercial roof replacement for your property and to discuss further whatever your needs might be. At Slippery Slope Roofing, we offer high-quality commercial roof replacement services in Orillia, Barrie, Bradford, Alliston, Newmarket, Midhurst, Cookstown, Beeton, Innisfil, Angus, Collingwood, Wasaga Beach, Oro-Medonte, Midland, New Tecumseth, Clearview, Bradford, Essa, Stayner, Springwater, and surrounding areas of Ontario.